It's best to keep a tidy lawn at home, especially since it's the first thing your guests and neighbors see before they set foot in your home. Some might even have to walk through your grassy lawn before making their way to your door or see that the fence line needs some turf maintenance. 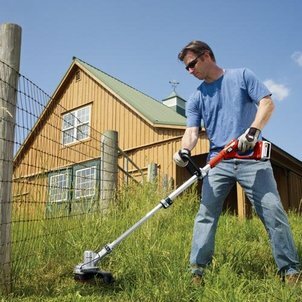 Lawn edgers and grass trimmers are perfect for making your yard look professionally landscaped. Trimmers come in gas and cordless versions depending on your needs. To be honest some of the cordless trimmers are a great alternative to having the gas guzzlers. There are less moving parts and the battery life nowadays is really quite impressive. If you own a lawn or have weeds you need trimmed, that alone gives you good reason to get a grass trimmer to maintain your property. Here are a few of the choices you can consider when looking for that great tool. 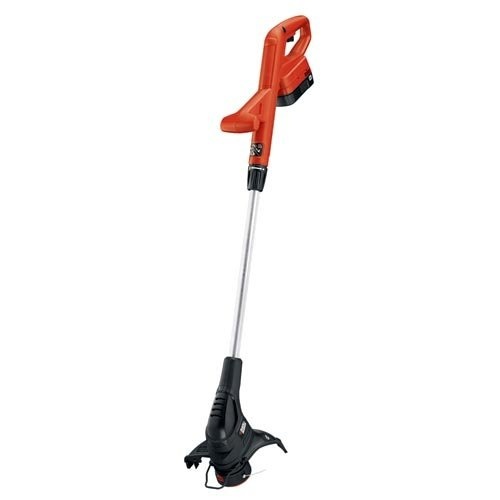 The Black & Decker GrassHog is a cordless electric grass trimmer which makes use of a handy Ni-Cd battery (18-volt). This gets rid of the hassles of using a gas powered grass trimmer, or having to deal with the cord of a corded trimmer without sacrificing results. Its PowerDrive Transmission delivers a great amount of power from the 7,000rpm motor to the cutting string to help you finish faster. It's pre-wounded with a 30-foot spool which means you can get right to work after purchasing this tool. Another great feature is that you can convert it from a trimmer to an edger with ease. It's also a great plus that this starts instantly all the time when you pull the trigger. This tool makes trimming your lawn convenient, fast, and power efficient. 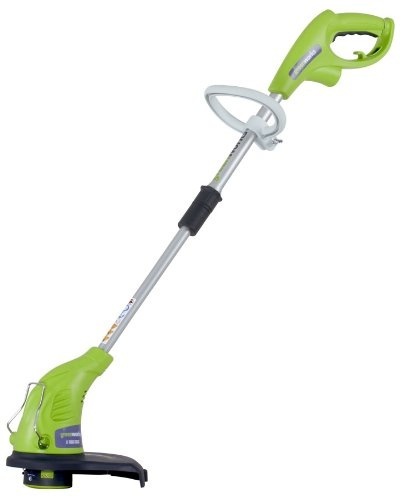 The GreenWorks Corded string trimmer makes it simple for any user to trim grass. This corded trimmer makes use of a power 4-amp electronic motor which helps you stay away from the hazards of burning gas. It's very user friendly with a handle that rotates 180-degrees for edging along sidewalks, it has a telescopic shaft so you can adjust it based on your height, it is very lightweight making it easy to move and work around your lawn without straining yourself, and the auto-line advancement system helps replenish worn edger line. A tiny yet important feature is its integrated cord lock which prevents from disconnecting the cord when the user runs out of cord. This tool would be for those who don't want to worry about maintaining the battery of the tool and want it to work with them and make it easier to accomplish the task. It's very affordable also so you don't have to worry about spending very much money. 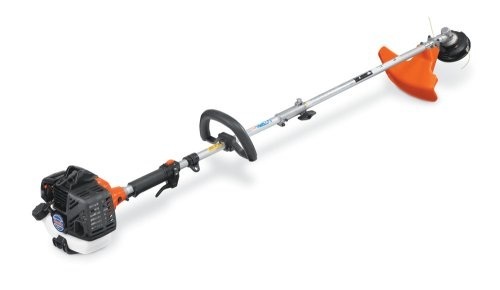 For those who prefer not having a cord and don't want to have to keep charging the batteries, the Tanaka 21.1cc heavy duty gas powered grass trimmer is a great choice. It makes use of a 21.1cc commercial grade two-stroke engine which provides an amazing amount of power, performance, and reliability. Don't assume that because it uses a gas engine means it's really harmful to the environment. The PureFire low-emission engine reduces fumes and it is CARB compliant. Also, the S-Start system makes pull starting easy cutting down the force required to at least half. Its solid steel drive shaft gives an efficient power transfer from the engine to the semi-automatic cutting head of the tool. Have that power you need from a grass trimmer without having to worry about running out of cord. Those were three of the best choice for grass trimmers which utilize three different power sources. These tools will help you keep your lawn tidy and ready for guests to visit and go swimming in your above ground pool.